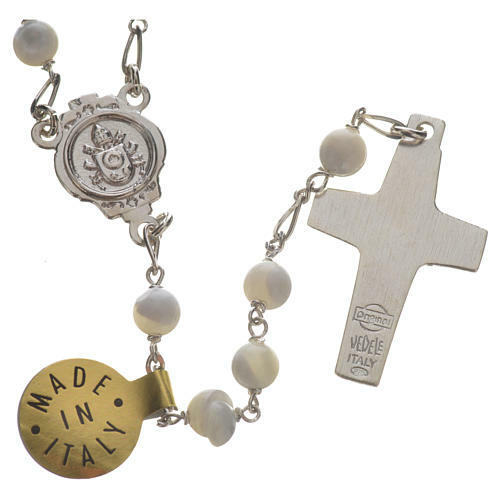 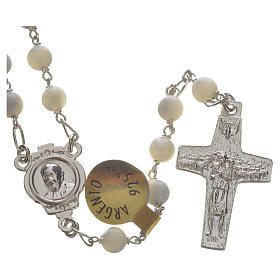 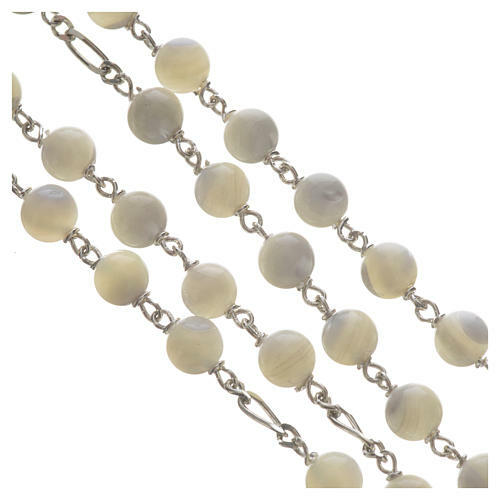 Rosary beads in sterling silver and mother-of-pearl, Pope Francis. 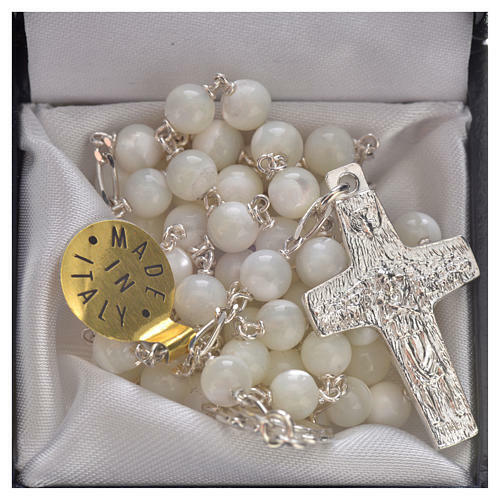 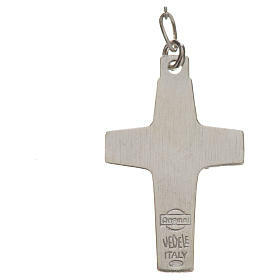 Precious and elegant rosary beads in sterling silver dedicated to Pope Francis, with his image on the centrepiece and with the cross of the Good Shepherd. 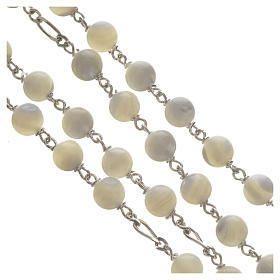 The beads are in real mother-of-pearl and they measure 0,16in of diameter. This rosary weighs 0,62oz.